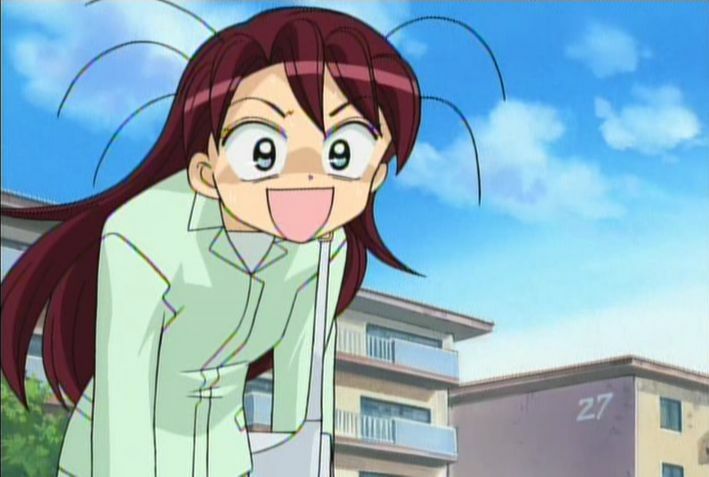 Today's the day that Oguro Mikiko starts her brand new job at an animation studio, and boy is she excited. She rides her bike all the way to the studio, and enthusiastically introduces herself to everyone... only nobody's seems to be in the office! Well, turns out there is one guy there, the assistant production manager. He immediately gives her the nickname Kuromi (from Oguro Mikiko), and says everyone else usually starts to wander in around noon-ish. Then, after hastily showing s her around, he promptly quits and is hauled away by an ambulance. Apparently this job that Kuromi just inherited caused him to develop a bleeding ulcer, but he wasn't allowed to quit until he found a replacement. Oh-oh, what has Kuromi gotten herself into?! So Kuromi is now the new assistant prodeuction mangaer, otherwise known as an animation runner, for the second episode of the anime television series "Time Journeys!". Once the rest of the staff wanders in... the rest being Shihonmatsu and Hassaku, as the four key animators all work from home... Kuromi takes a look at the schedule at nearly has to pick her jaw up off the floor when she discovers they only have a week left to finish the episode in time for air, and out of 300+ key frames that are needed, they have a total of... five! Oh man, this isn't good! This isn't good at all!! Well, maybe it isn't so bad... after all, she still needs to go collect today's key frames from the artists. Her first stop is Tanonaka, a smooth, handsome fella who hands Kuromi 10 new key frames. Well, at least it's progress. Next comes Haryu, a large fanboy who lives alone in his apartment surround by tons of anime toys. How many key frames does Haryu fork over? Just one? And it's just a background?! Uh-oh... so what about Fukami, the newly married wife who does animation as a side job? Zero! And Horaguchi, the quiet and reserved woman who seems to think that she always gets assigned the hardest characters to draw? Zero! A total of 10 new key frames for the day, and less than a week to go! Oh yeah, and those 10 key frames she got from Tanonaka? Well, apparently they aren't very good, and need to be completely redone! What a first day! If our frantic little animation runner wants to have any hope of pulling this episode together before it has to air, she's gonna need to pick up on the trick of the trade, and fast! Luckily she has Shihonmatsu used to be in a similar situation, and has the insight that will help Kuromi succeed in pulling it all together. Still, one week isn't much time at all, and some might even say it's impossible. Will she come through, and without ending up like her predecessor? 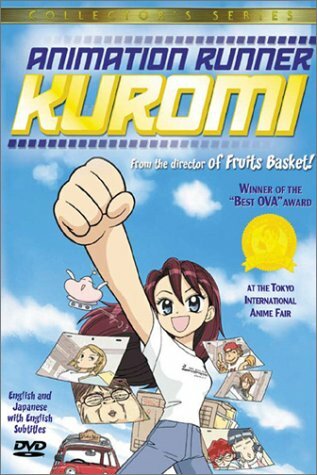 To find out, grab your copy of Animation Runner Kuromi when it's re-released on August 23rd at a new low price of only $9.99! 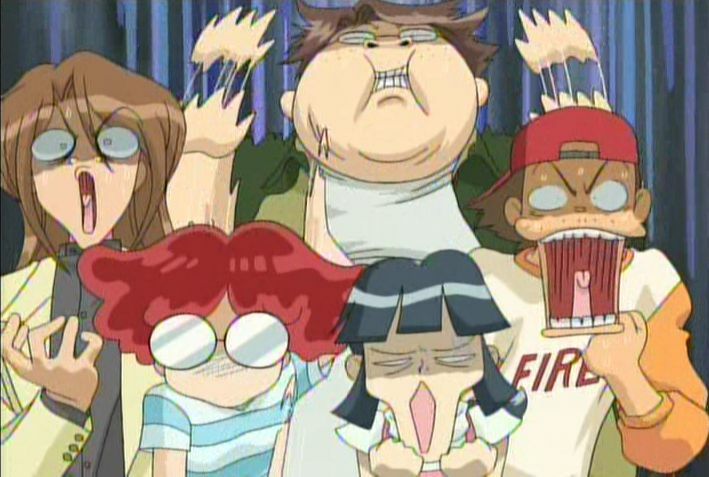 This is one of the funniest anime OVA's I've ever seen, so if you like anime and comedy, you won't regret the purchase! It's an anime about making an anime. This anime is about life in studio Petit. Mikiko Oguro dreams of making her own anime, and she quickly finds out that it's not all peaches and cream. She has a studio filled with quirky artists that don't quite grasp the concept of a deadline and keep weird hours. The anime, "Time Journeys 2" is in serious trouble. Can Mikiko whip the artists into shape, drag them away from their hobbies and other pursuits in time to make the anime?